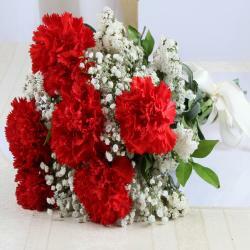 Product Consist : Bouquet of 6 Multi Color Carnations with lots of green fillers. 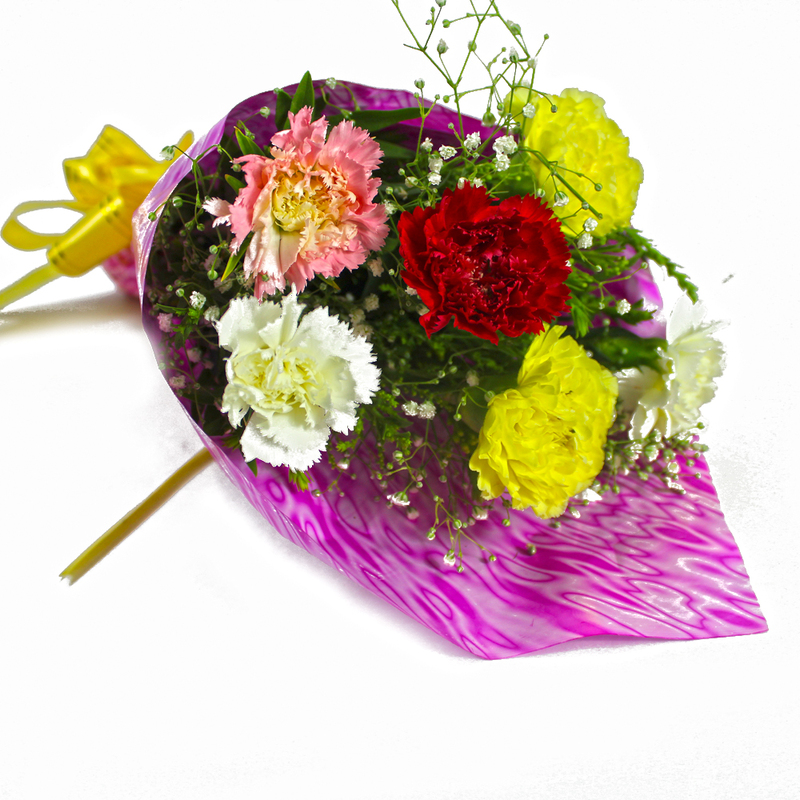 Containing six colorful carnations beautifully bloomed and fresh pieces, these flowers have been arranged well in cellophane paper that holds their shape. 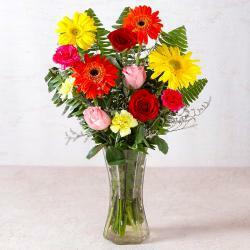 To beautify them further, a matching ribbon has been tied around them in the form of a bow. 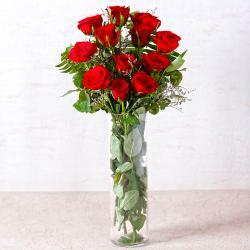 These flowers are the perfect gift to be given for Birthday, Anniversary, Housewarming, Baby Shower, Baisakhi, Republic Day and others celebrations. 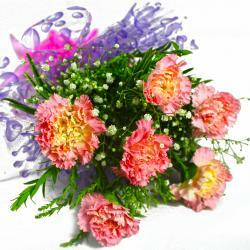 Product contains : Bouquet of 6 Multi Color Carnations with lots of green fillers.